It seems Iran is going to launch a satellite into orbit soon, but the question is when. As I noted recently, Defense Minister Hossein Dehghan told the Majlis that Iran would conduct a space launch during the festivities to mark Iran’s revolution, which should run from 1-11 February. Other Iranian officials, however, have suggested that Iran would merely show off new toys during the festivities, holding off the launch until after Nowruz aka the Iranian new year (March 20). 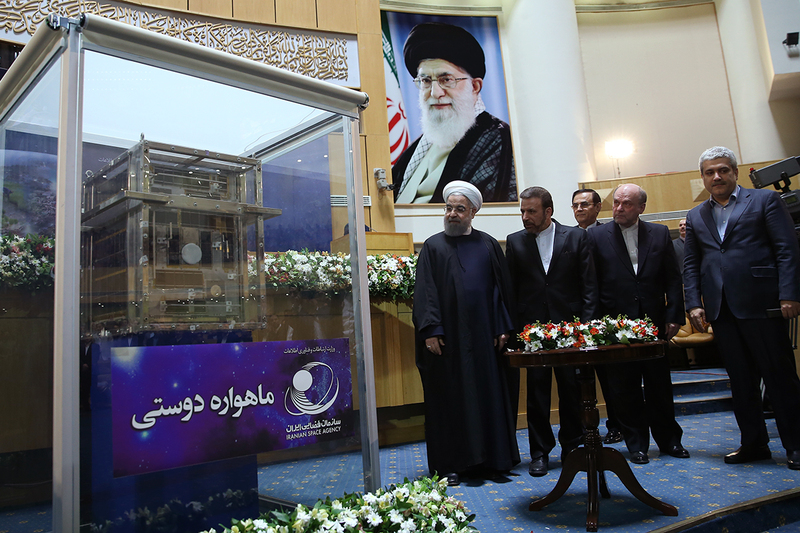 On 3 February, National Space Day, Iran’s President marked a number of achievements and showed off a new 50 kilogram satellite. That mass is interesting. Next up is, according , the display of a Simorgh tomorrow on 11 February. We’ve seen the Simorgh before — most recently in August — but perhaps we might be surprised. The Simorgh is designed to put a small payload, usually listed as 60 kg, in a 500 km orbit. In other words, perfect to launch Friendship. So when will the thing actually launch? A0319/16 - OID51 ACTIVATED,REF AIP PAGE ENR 5.1.3-5. One caution — the closure seems to be only to 30,000 feet, which would seem to be insufficient for a launch. Otherwise, A0335/16 is identical to the NOTAM that preceded the February 2015 launch, which is convenient because that is the NOTAM that Alex Kynerd examined is his very useful explainer on the topic. Melissa made a nice map of the NOTAMS which helps illustrate why the NOTAM looks like a launch. Will Iran actually launch during this window? Who knows! As Tal Inbar has noted, NOTAMs are cheap. As we saw before the North Korean launch, they were ready earlier than expected an just issued a NOTAM. Or Iran could simply let the NOTAM expire without doing anything. But, on balance, it looks like Iran is moving toward using the Simorgh to launch a friendship satellite, possibly between 16-18 February. well! Do they have it on the launch pad? I mean shouldn’t they already? How does a Simorgh compare to an Unha?